Thanks to a tumultuous past week here, all systems and internet access have taken a hit. Chennai has overflowed with love and humanity, in response to the water, and it just reaffirmed my love for the city. Hopefully, we recover quickly, and rehabilitate effectively. So in case you missed my previous post I am now an official blogger for Shopskipper. My job will be to feature stores in collaboration with ShopSkipper, and bring you the best of Chennai’s shopping scene— in video form, no less! So be sure to follow their page to see the ShopSkipper edit ft. yours truly. I’m so excited to be a part of their venture! 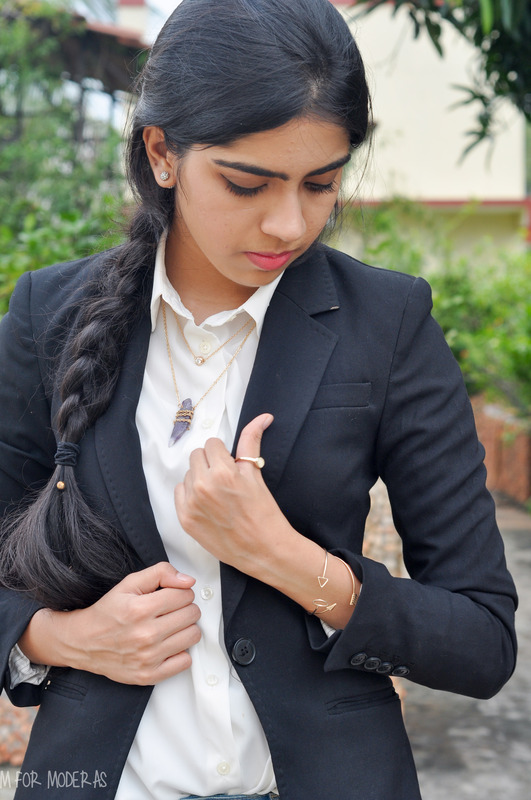 The second store I am featuring is The Blush Box by Saloni Bermecha. Contrary to popular belief, I do own a black blazer. would kill for a rhinestone anything, sometimes you have to strike a balance. They do have statement-making pieces, as well as a selection of clothing. This necklace for example, has a marble-like stone as a pendant, with a shorter chain layered. It’s different, and eye-catching, without being loud. 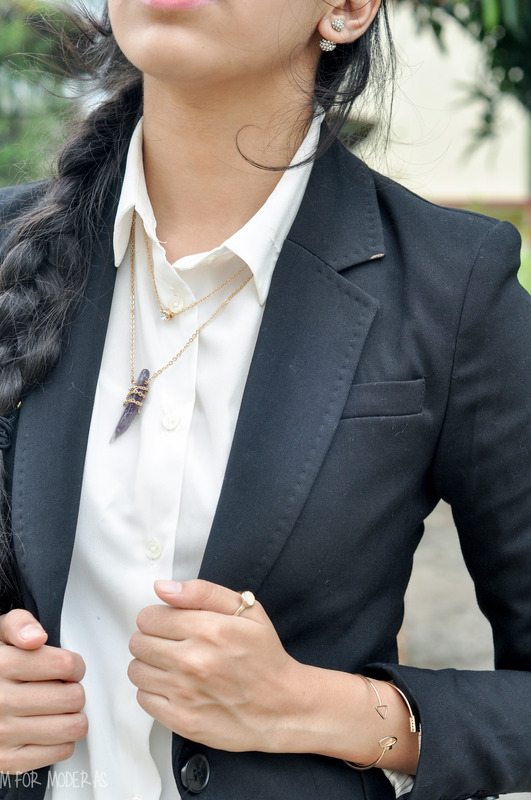 When you wear formal clothing, sometimes you need to reach for easy-to-wear pieces like this. 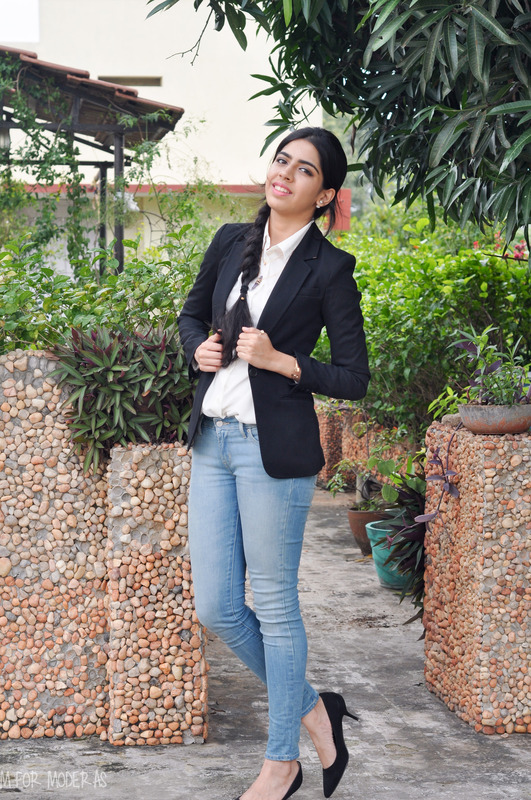 This is a fail-proof outfit idea: black blazer, blue jeans, and heels. You could even call it a fashion-girl uniform! It’s all in the details, sometimes, with outfits. 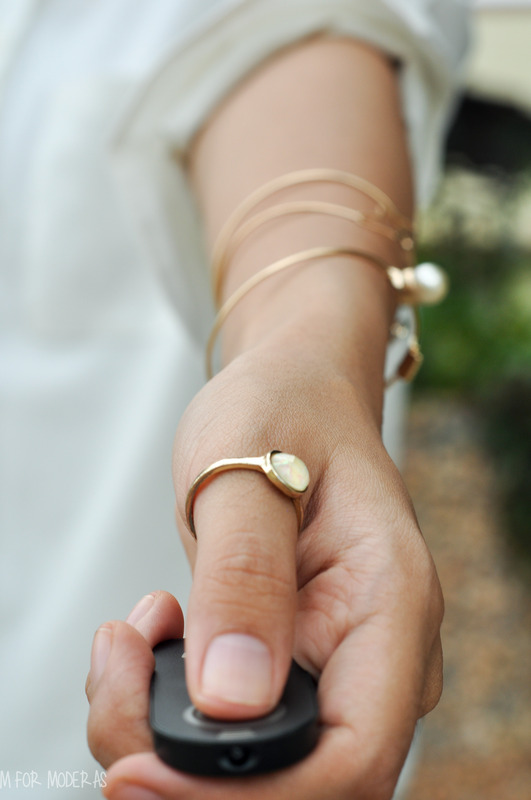 A delicate moonstone ring, and slim gold bracelets make just enough impact without being weighed down by tons of accessories. 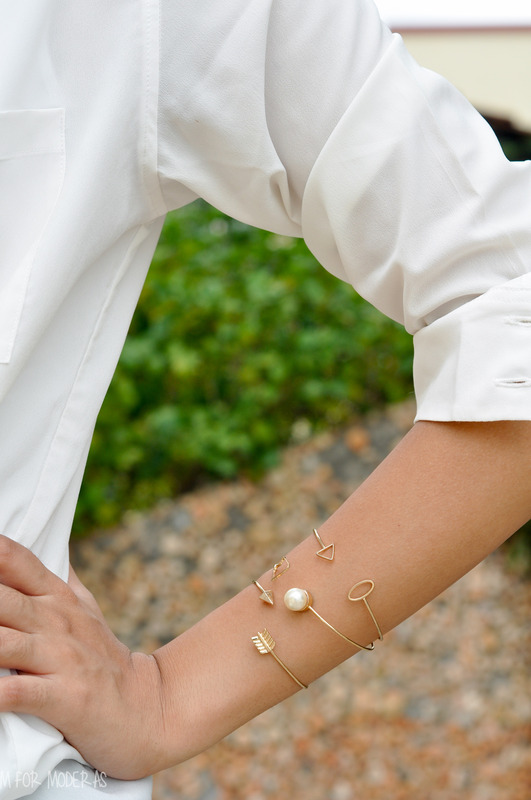 Layered with a watch, you have a perfectly executed arm party, without any fuss. 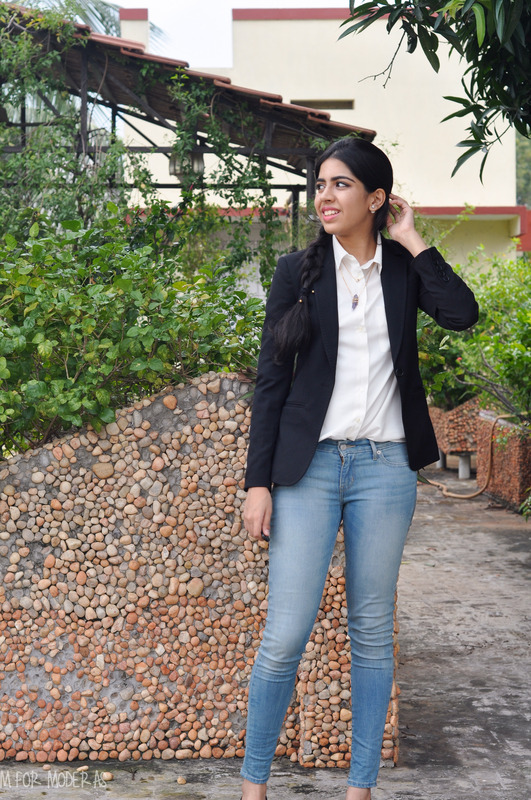 Wearing Mango blouse, H&M blazer, Levis, Zara heels, my own earrings. All other accessories from The Blush Box. Congratulations, professional blogger! 🙂 Happy to see you entering the fashion scene in the city. It would be great to see the prices of those pieces (if you’re allowed to put them up). Hey, thank you so much 😀 all of the pieces are available on their store, but I’ll keep the tip in mind for future posts! Put your full name next time! 😛 at least first.